So pleased to be serving all of the South Cheshire areas from Bramhall to Crewe on a daily basis for over twenty years. 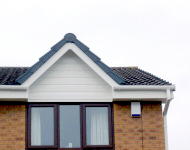 All installations are carried out with myself as DCLG certified Surveyor and installer. Many installations have also ranged from the South East to Carlisle upon super recommendations from our home customers; thank you to all. Many thanks Peter, for the excellent work you you did at Green Close Methodist Church. You replaced the rotting window frames with U.P.V.C, efficiently and with great care enhancing the charm of our country chapel. We should like to express our sincere thanks for the sterling work done by yourself and your team. We shall certainly tell our friends about you and would be happy to tell anyone of our complete satisfaction. We have used the company T.L.C. and the services of Peter and his team for a number of years now. 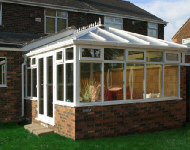 They have supplied and fitted windows, French doors and conservatories at many of our jobs. We should like to express our sincere thanks for the sterling work done by yourself and your team at our home recently, we are delighted with the result and with the lack of disruption. With having all the windows done at once we expected chaos, so we were very pleasantly surprised. 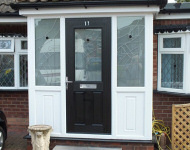 We have been delighted with the new patio door assembly over Christmas given the particularly cold weather. It was all installed with the minimum of fuss and very quickly. 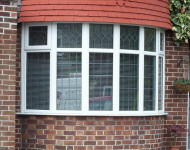 TLC Windows and Conservatories are the Churches' window replacement company of choice. TLC have a comprehensive portfolio of Churches, Vicarages, Manses and Church Halls gained over the last twenty years. Click here to view our church window website.